Sunday Dinner- Persian style…c’mon Reza…. As I mentioned in my last post, I have found a decent Asian foods market in Wilmington, NC. When I say Asian, I mean near east, mid-east and far east. So along with my bat choy and shrimp har gow, I also purchased dried lemons, fried onions and cloves. 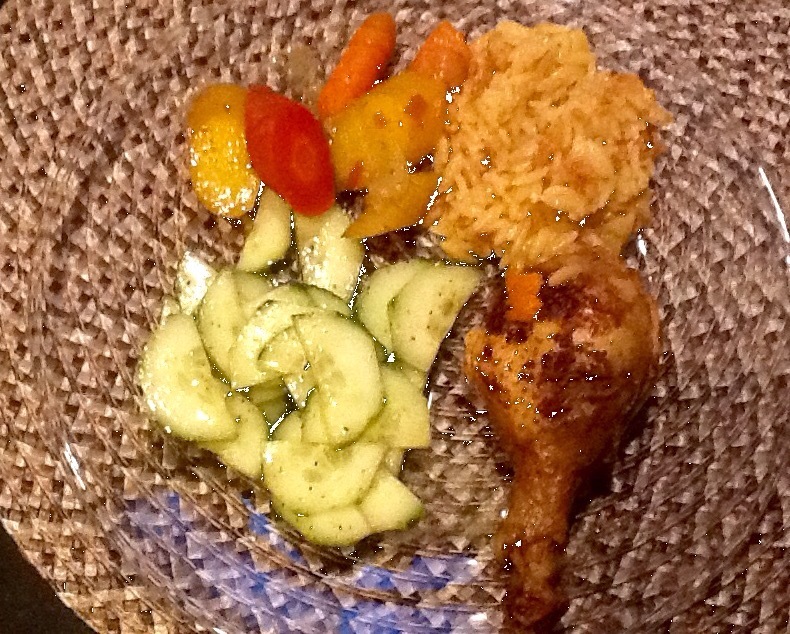 Tonight, it’s Persian Chicken with tri-color carrots, Saffron Rice Pilaf with fried onions and Cucumber Salad. 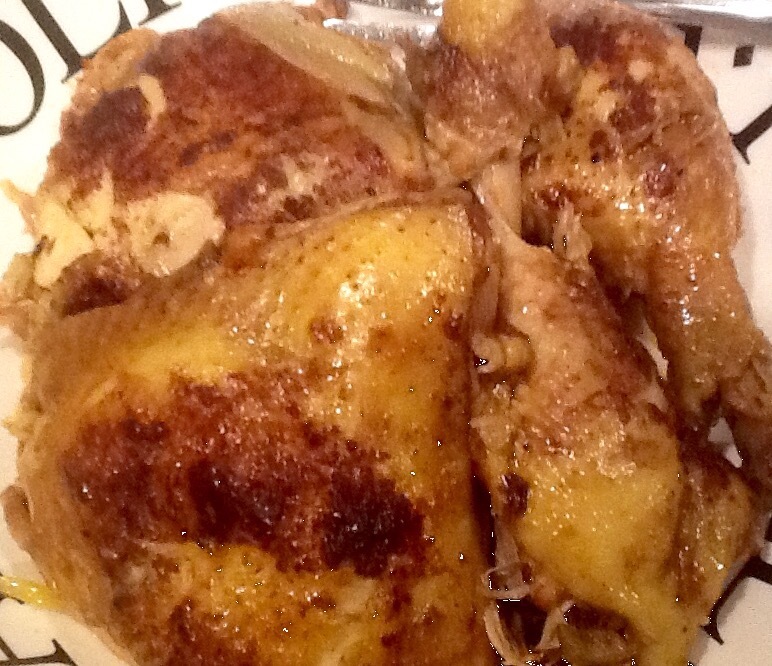 The spice rubbed chicken is browned in olive oil and butter (or Ghee if you have it), and stewed for two hours with a tablespoon of tomato paste, 20 green olives, 16oz of water, 1/2 an onion, the juice of half a lemon, and 2-3 dried lemons. The spice mixture I use includes salt, black pepper, cardamom, 3-4 whole cloves, nutmeg, cumin, cinnamon (or a cinnamon stick) and a little turmeric. 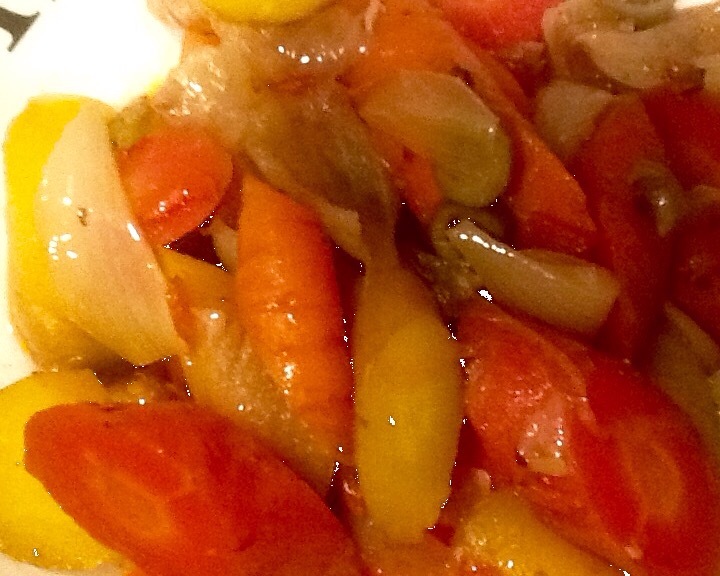 After one hour, I add 3 carrots to the pot and cook for an additional hour. Saffron rice pilaf with fried onions comes together during the last 15 minutes of cooking the chicken. I always start my pilafs in olive oil and butter, browning the orzo and/or rice in the fat before adding the liquid. In this case it is saffron softened in chicken broth. 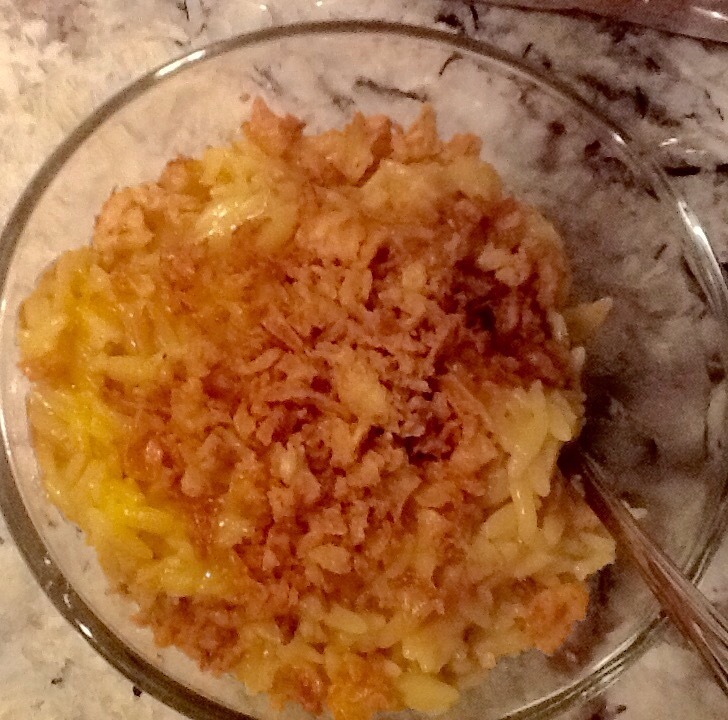 After cooking, add the fried onions on top. The cucumber salad is easiest and last. 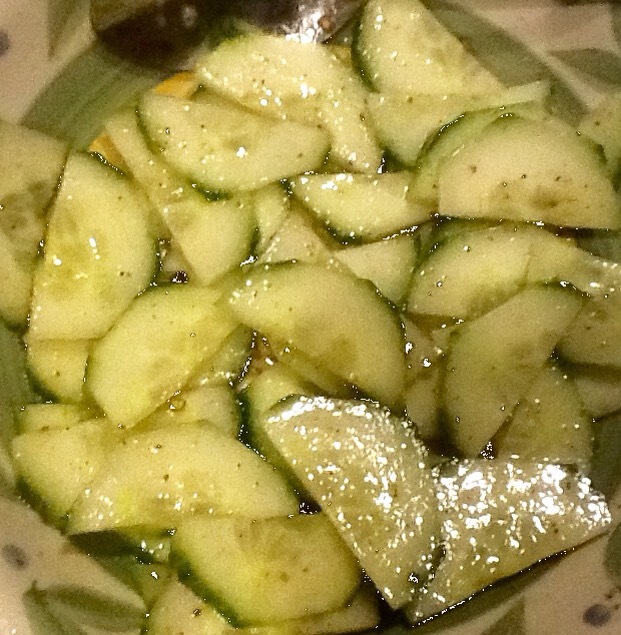 Halve cucumber slices and marinate in olive oil, fresh cracked black pepper, sea salt, lemon juice, and Kabsah or Zatar seasoning. Great meal that even a Shah would love! Previous Previous post: Dim Sum for dinner? Why not?